In 3- to 4-quart slow cooker, mix all ingredients except green onions and nuts. Stir in green onions and nuts. Though pearled barley is a common form of barley, the bran has been removed, so it's not a whole grain. Hulled barley is whole grain, but may be harder to find--look for it in a food coop or buy it on-line. A casserole side dish for the veggie lovers! 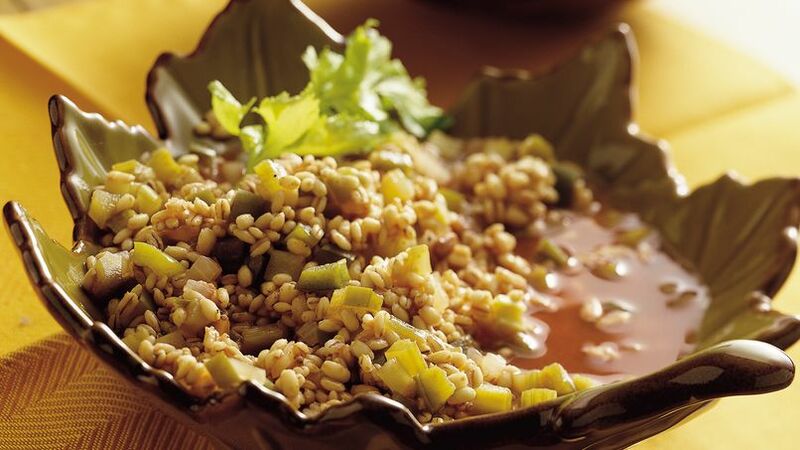 Slow cooked barley, vegetables and pine-nuts offer a delicious treat.